London Corporate Media is a video production company, run by supremely talented Chris Towndrow, specialising in working with businesses to harness the marketing power of online video content. 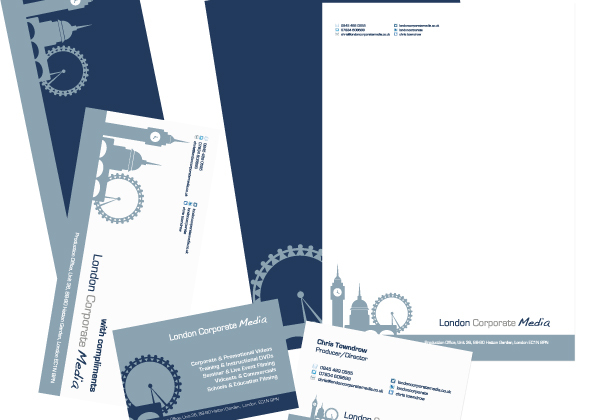 Given the name of the company it was important to introduce a graphic depiction of London whilst introducing a colour palette which emphasised the corporate nature of his business. Over the years we have worked on four branding projects for Chris so he must like what we do!